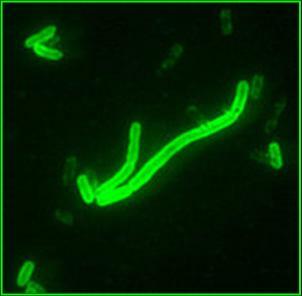 Identification: Yersinia pestis, or plague, is a zoonotic bacterial infection transmitted by way of the flea parasite. The plague infection is typically spread from one rodent to another after a flea has bitten and ingested contaminated blood. When the flea has lost its natural host, the rat, it will seek out other sources within the environment. It is at this point that the flea becomes an increased risk to humans and animals within the immediate area. Three forms of plague currently exist, including bubonic, septic and pneumonic plague. Bubonic plague is the most frequent form of infection which targets the lymphatic system. Infected persons will develop enlarged lymph nodes resulting in open sores at advanced stages. Septic plague, or Black Plague, attacks the bloodstream. Numerous black patches appear over the body due to sub dermal hemorrhages throughout the skin. Transmission of pneumonic plague can occur between humans without the involvement of the flea parasite. Although pneumonic plague is the least common form of transmission, it is the most contagious and holds the highest mortality rate. Original Distribution: Plague has continued to exist within focal endemic wildlife population throughout the world. This organism continues to survive within Africa, Asia, South America, Soviet Union, southeast Europe, Canada and in two main areas in North America. Within these areas of the world, there are occasional outbreaks effecting human inhabitants and predator populations. Current Distribution: The World Health Organization reports approximately one to three thousand cases of plague throughout the planet annually. In 2003, 2,118 cases were reported nine countries throughout the world. Of the over 2,000 cases and 182 fatalities 98% were from Africa. In Zambia, 267 cases of plague were reported in 1997 with 26 resulting in death. The Democratic Republic of Congo has reported over 1,000 cases of plague each year since 2001. Due to the current political conflict within the DRC, surveillance, control and treatment with simple antibiotics has suspended. Algeria had 11 confirmed cases of bubonic plague in 2003. The United States averages about 16-18 cases of plague per year. Only about one in seven died from the infection. The Black Plague occurred throughout Asia and the Middle East during the 14th Century. This pandemic represents the largest death toll of any known disease to date. With over 34 million fatalities, Europe reduced its population by one third. In the late 17th Century (1665-66), London experienced The Great Plague. Spread of the plague originated from Dutch trading ships carrying bales of cotton with concentrated flea populations. Estimated losses ranged from 75 to 100 thousand individuals. With a decline in London’s population by one fifth, up to 7,000 victims were succumbing each week in the later stages of the outbreak. 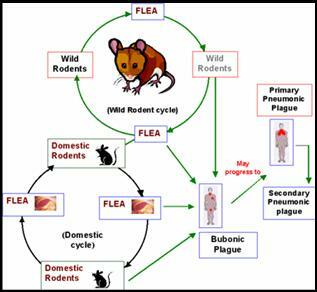 Mode(s) of Introduction: Throughout the world, the Y. pestis bacterium is most commonly spread via the rat flea. In the US, the most common vector for the plague is the flea found on rock squirrels and California ground squirrels. Although most carnivores are resistant to the plague infection, cats are not and may serve as a resource for human-to-pet infection. The prairie dog can also transmit the plague to humans through direct contact. Due to the prairie dogs low resistance to the plague and dramatic die-off, black-footed ferrets populations are feeling the effects. The endangered black-footed ferret is impacted by the prairie dogs population decline as well as ingestion of prairie dog meat which contains plague organisms. Reintroduction of the black-footed ferret is currently unsustainable in these populations. Reason(s) Why it has Become Established: The plague organisms exist in a stable enzootic state within several wildlife populations throughout the world. Humans are an accidental, dead-end host within the plague life cycle. Plague organisms have been introduced into novel habitats due to human influence. Relocation of humans and animals into unsanitary conditions has lengthened our exposure to these organisms. Plague infections have exploded in some areas when paired with the short incubation period of two to seven days. For the bubonic plague, symptoms can occur within six to eight hours after transmission. If left untreated, septicemia may develop in two to six days. Continued progression of the infection could result in secondary pneumonic plague in as many as 15% of the cases, thus increasing the potential for rapid airborne transmission. If pneumonic plague is left untreated, mortality rate can reach up to 95% in one to six days. Ecological Role: The plague pandemic did contribute to the depopulation of many areas in Europe. It is reported that many land areas were abandoned, resulting in a return to natural forests and pastures. The Great Plague of the late 17th century played a major role in establishing and defining a government’s function where public health is concerned. What lengths does the establishment take to ensure the safety of its citizens? Benefit(s): When faced with a pandemic, populations are forced to understanding epidemiology, prevention and cures from disease. The emergence of plague has given us a better understanding of how we impact and are impacted by our environment. We have established a better understanding and acceptance of proper hygiene, pest management and quarantine of the trade industry. Threat(s): After WWII experimentation of biological warfare included plague organisms. The U.S. and Russia tested modes of delivery and antibiotic resistant strains of the plague. The ability to develop an aerosolized pneumonic plague through warfare or bioterrorism remains a considerable threat to current populations. On September 15th 2005, three mice previously infected with Yersinia pestis “escaped” from a laboratory in New Jersey. It was reported the mice have been missing for over two weeks. Control Level Diagnosis: Due to the fact that there are no current pandemics of plague throughout the world, this invasive species should be treated as a Medium Priority level control. Public education, surveillance and vector control should continue throughout all areas where plague is endemic to prevent transmission to novel habitats. With the ability for biological warfare and bioterrorism, planning for pandemic control and prevention are needed. 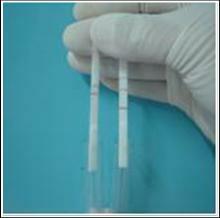 Control Method: Fortunately, the plague bacterium is highly susceptible to antibiotics and can be easily treated. In 2003, a rapid diagnostic test was developed to obtain reliable results in 15 minutes instead of 15 days with previous testing techniques. Heightened awareness of public health, sanitation and personal hygiene has been extremely beneficial to the eradication of the plague in medieval times and today.